Advanced Dungeons and Parenting: What's So Special About Conan? What's So Special About Conan? An upcoming movie by Millennium Films. 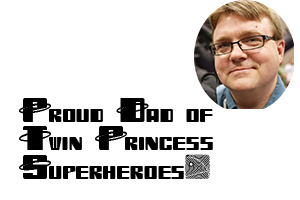 Those these are important, and wonderful, developments for the Conan fan, they are not new. One should not think that there has been some kind of sudden explosion in 2007 of Conan material. The Conan explosion isn't a new thing either, I could have pulled numerous examples from the 90s or the 80s of Conan releases. Conan is always lurking in the pop culture subconscious and I think that we do a disservice to Conan fans, both existent and emerging when we use Arnold Schwarzenegger as the archetypal Conan representation, as Snider appears to do in the article. 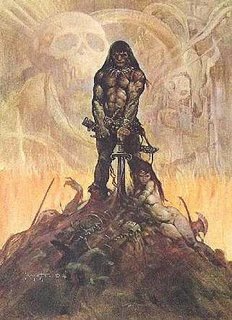 Some like Arnold as archetype, but I find Conan to be one of the most underestimated characters in American literature (with Natty Bumpo being a close second) and the Governator's portrayal -- while fun -- lacks the depth the character actually has as a literary figure. When it comes to depictions of unreflective low art, one need look no further than the commonly perceived opinions of Robert Howard's Conan stories. If you ask the average man on the street to describe a Conan narrative, you will likely be given a tale of lust and violence. In the tale Conan will rescue some half-naked maiden from some rampaging beast and the story will end with the woman becoming all naked as she swoons at the hero's feet. In fact, a great deal of Conan pastiche has been based on this very simple formula. The largest problem with such a vision is that it is not all that accurate. Are there tales of this sort in the Conan oeuvre? Sure, but there are also tales of visionary wonder. Like most authors, whether they write literature or Literature, Howard's writings reflect his own thoughts, experiences, and education. The writing reflects the aesthetic tastes of the author, or his/her understanding of a prospective audiences literary tastes. What makes something worth reading again and again is when an author satisfies those with "lower" tastes while providing them with some food for thought. Howard is no exception. In fact, I was surprised while I was rereading the first published Conan story, Howard's The Phoenix on the Sword to find that the author seemed to be hinting at a theory of the value of literature and its role in society. Howard's Hyborean Age is a mythic world filled with magic and wonder, but it is also a world based on the history of the real world. Howard combined multiple eras of history so that societies whose "real world" existence is separated by centuries could co-exist narratively. Conan's own people, the Cimmerians, are based on a very real historical peoples. Both Herodotus, in his Histories, and Plutarch, in his Lives, mention the Cimmerian peoples (called Cimbri in Plutarch). In The Phoenix on the Sword, Howard appears to expect his audience to have at least a little understanding of the historical Cimmerians in his conversation of the role of literature in civilization. Conan, as protagonist, must hold ideas which the reader sympathizes with for the particular narrative of Phoenix to work. So what kind of people were the Cimmerians? According to Plutarch they were a people who were pillagers and raiders, but not rulers. For the Cimmerian attack upon Ionia, which was earlier than Croesus, was not a conquest of the cities, but only an inroad for plundering. 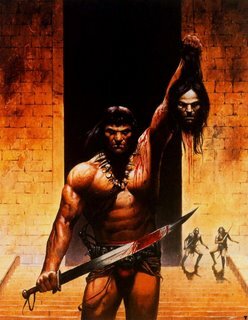 The average Cimmerian is a dour and towering barbarian who destroys civilization then returns to his gloomy homeland only to begin the process again later. Howard's typical Cimmerian is similar to that of the classical scholars, and presents a figure most unlikely to advance the literary arts. But this is where Conan differs from his kin. In The Phoenix on the Sword, Conan is an older man who has conquered on of the greatest nations of the Hyborean Age expressly to free them from tyrannical rule. He conquered to rule, and to liberate an oppressed nation. A far cry from the typical barbarian. By separating Conan from his kin, Howard simultaneously increases the audience's sympathy for the barbarian king while enabling the character to advance a theory of the value of literature. Conan adores the poet, and understands the criticisms. He is aware that the poet's plays are leading many among the people to despise him, but he too is persuaded of the need for justice. When his chief adviser, Prospero, discusses disdain for Rinaldo, Conan comes to the poet's (and poetry in general) defense. The text is near identical in the published and unpublished format. For Conan, the atypical Cimmerian, poems and the arts have more power than weapons or royal authority. Not only that, but it is right and just that this is the case. Conan, the barbarian, is the defender of the value of literature, while Ascalante, the civilized man, sees literature as only a tool used to manipulate the foolish. 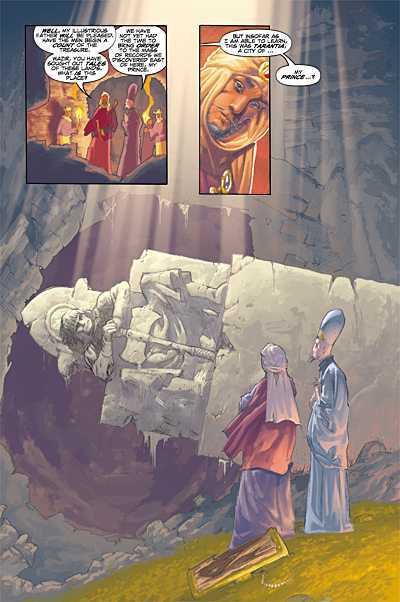 Conan would seek to discuss the past and future, the ideal ones, with the poet, while Ascalante would merely use Rinaldo to destroy what he opposes. Conan's conflict between desiring a free press and swift justice, and the eventual melee that will result because of his favoring of the press, are made clear in the poetic prologue to the final chapter of the narrative. Surprisingly, Conan's love of literature and the arts, and his defense of them, is so deeply rooted that he initially refuses to kill Rinaldo when Rinaldo attacks him. He still believes he can reason with the poet, it is only when he is left no other alternative that he kills the poet (the text is identical in both published and unpublished forms). “He straightened to meet the maddened rush of Rinaldo, who charged in wild and wide open, armed only with a dagger. 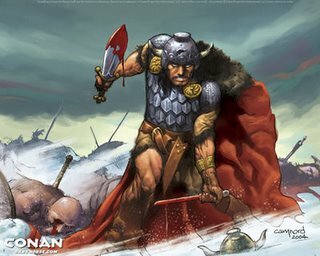 Conan leaped back, lifting his ax. ‘Die, tyrant!’ screamed the mad minstrel, hurling himself headlong on the king. Conan delayed the blow he was loth to deliver, until it was too late. Only when he felt the bite of the steel in his unprotected side did he strike, in a frenzy of blind desperation. What is interesting in the narrative is that of all the conspirators, there are twenty in all, none are able to injure Conan with the success of the poet. The poet has both damaged Conan's regime and his body and yet Conan was ever reluctant to, though in the end capable of, slay his greatest enemy. What does this tell us of Howard's thoughts regarding the arts? We know that Conan loves them, but we also know how they were used to manipulate the populace and how his own love for them almost cost him his life. Is Howard trying to discuss how Plato's critique of the poets is a good one, while at the same time defending the possible nobility of the poet (as Aristotle does in his Rhetoric)? I think these are questions intentionally posed in the narrative (I know...never guess at intentionality), and make it clear why Conan's first story The Phoenix on the Sword was so compelling to readers when they first read it. 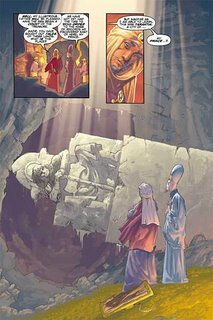 It should be noted that the story was originally submitted as a Kull tale, though I have yet to analyze that draft like I have these two subsequent writings. The Kull version was rejected by Weird Tales and the final (rather than the first) Conan version was the first appearance of what has become a culturally iconic figure.